“Got questions? 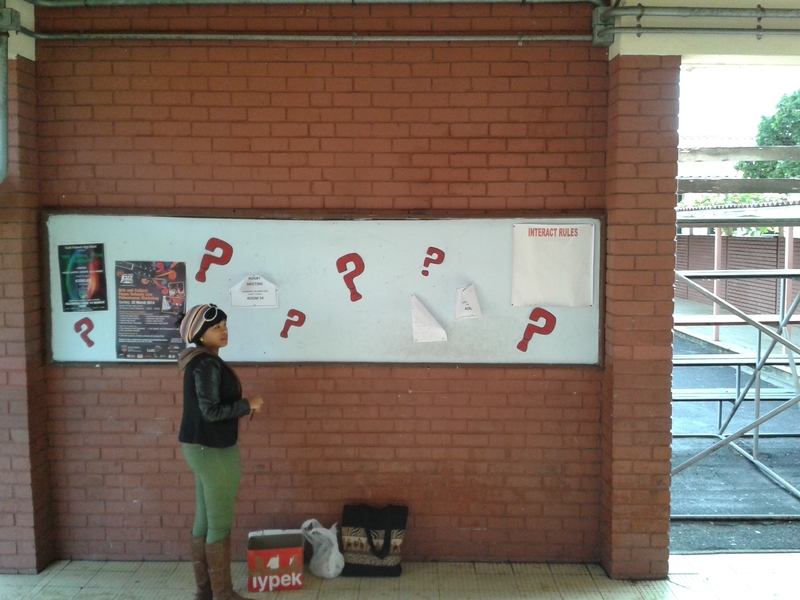 Search for answers”–our marketing campaign at the school. 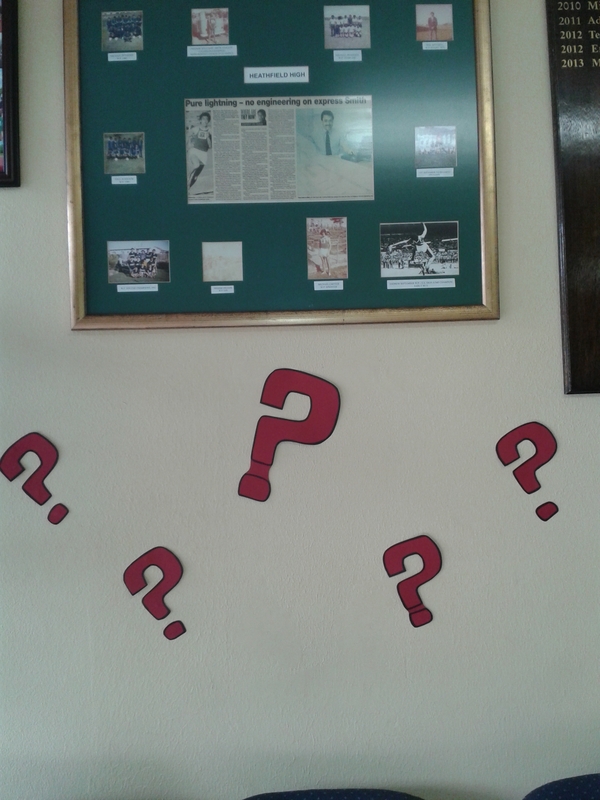 We posted red question marks throughout the school. Tomorrow, I will begin working at a local high school for the next six weeks. 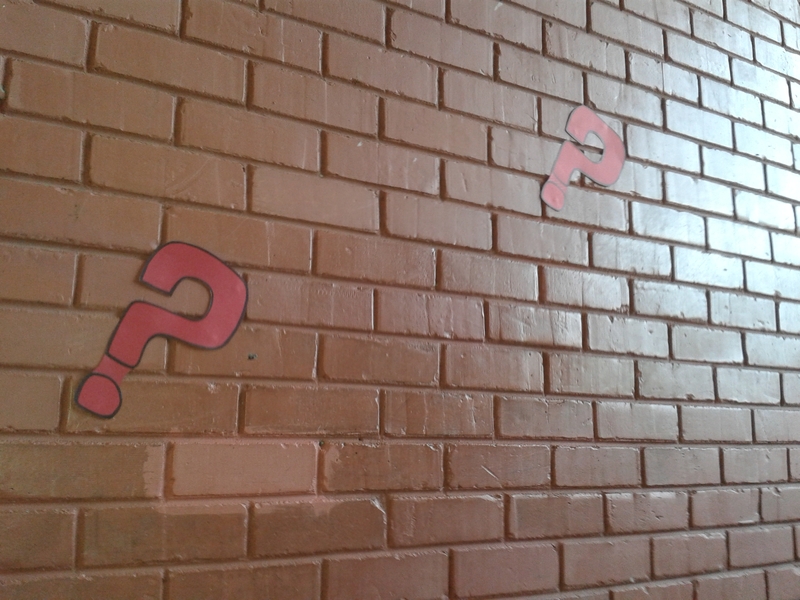 I have been coordinating a Youth Alpha course for the students, and the course kicks off tomorrow afternoon. The high school isn’t far from where I live. 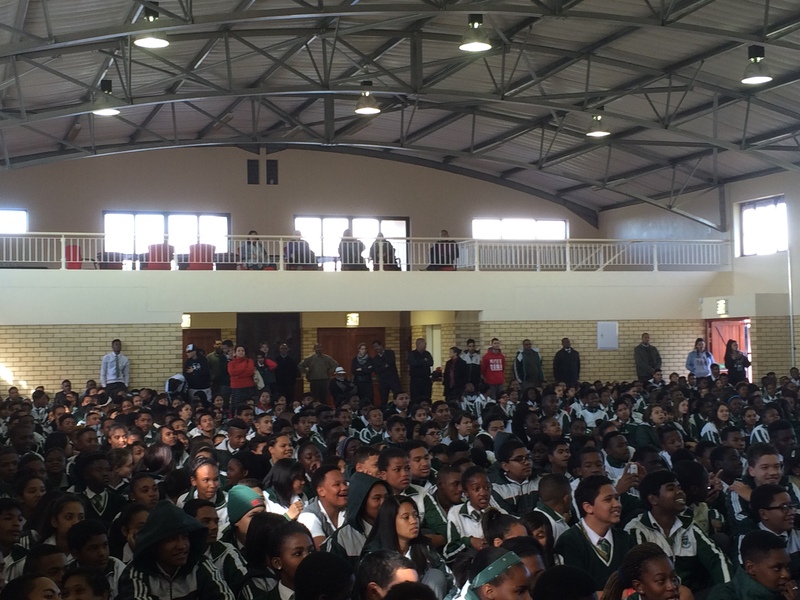 It’s located in what we Americans would call a “working class” neighbourhood, but most of the students come from the townships. Many come from extremely disadvantaged communities, riddled by gang violence, substance abuse, and impoverished conditions. The school has 900 students, 25 teachers, one principal, and a handful of support staff. In an American city, I think such a school wouldn’t exist because of the lack of staffing. Yet, despite the school’s being under-resourced, you don’t get the feeling of hopelessness you often sense when you visit an American inner-city school. You don’t have to go through airport-like security to enter the school, graffiti isn’t on the walls, and the students are very respectful. You can tell that the teachers truly care about their students and are trying their best to provide them with quality education. I feel so uplifted every time I visit the school. Attending some classes—English, Afrikaans, and maths— at the high school, in order to get a better feel for the school, has been one of the highlights of my year. 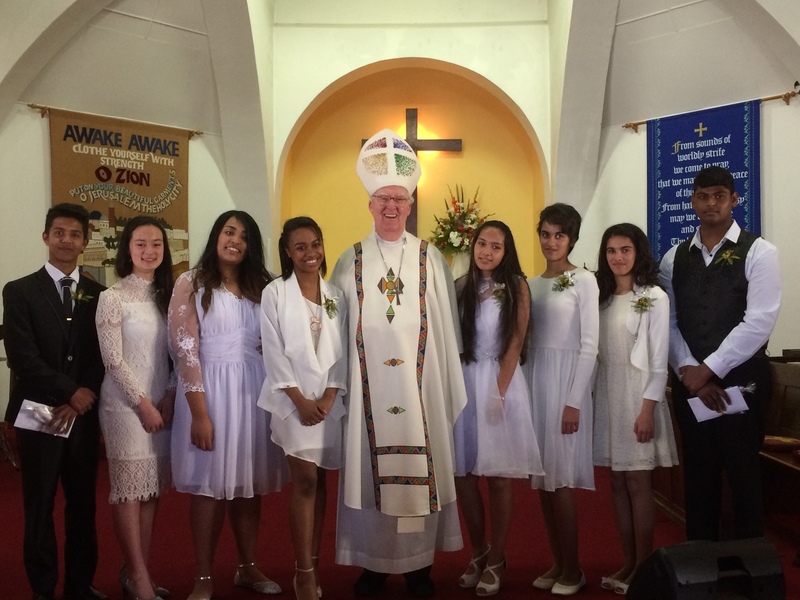 Months ago, the principal of the high school approached Growing the Church with a request for help. In his words, he felt like the school was meeting the academic needs of the students but not their spiritual needs. (Wow—can you imagine this happening in an American school?) At the end of last year, I started to put together a team from local churches, and we decided the best place to start was with the Youth Alpha course. Please pray for us. Please pray for the students, the facilitators, and the caterer for the course. We are stepping out on faith, as we only have a little funding for the course; but we know that the Lord will provide. Please pray that hearts will be opened to the movement of the Holy Spirit. I’m excited about this opportunity to serve the students at the school. I know that many lives are going to be changed, including my own.